Air Canada on June 15 inaugurated new summer seasonal service from Montreal to Lisbon, Portugal. The three-times weekly Air Canada Rouge seasonal Lisbon service begins June 15, 2018 from Montréal, with the last operation from Lisbon on October 27. 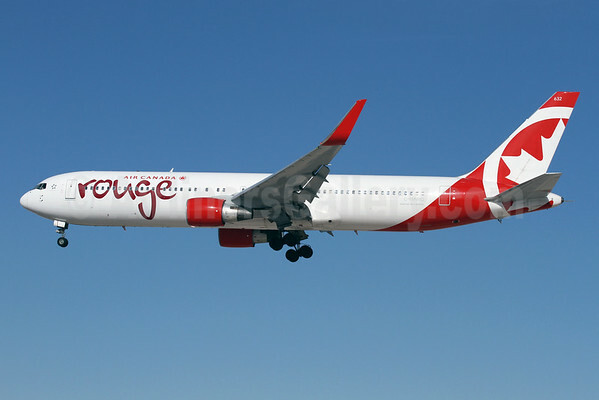 Flights are operated with Boeing 767-300ER aircraft featuring Premium Rouge and Economy Class service and are timed to optimize connectivity from across Air Canada’s network through Air Canada’s hub in Montreal. In 2018, Air Canada is launching ten new destinations from Montreal: London, Windsor, Victoria (Canada); Tokyo–Narita, (Japan); Phoenix, Pittsburgh and Baltimore (U.S.); Dublin (Ireland); Lisbon(Portugal) and Bucharest (Romania). 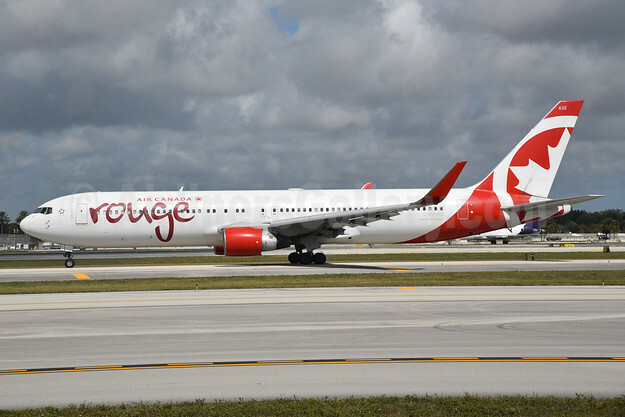 Copyright Photo: Air Canada rouge Boeing 767-333 ER WL C-FMWQ (msn 25584) FLL (Bruce Drum). Image: 104621. This entry was posted in Air Canada, Air Canada rouge and tagged Air Canada, Air Canada rouge, Boeing 767-333 ER WL, C-FMWQ, msn 25584 on June 16, 2018 by Bruce Drum. Air Canada (Montreal) said it achieved a single-day record for passengers carried on July 30 and it expected to surpass its record again yesterday as Canadians take to the skies for the August holiday long weekend. On July 30 Air Canada welcomed an estimated 141,000 customers on board its aircraft, and the July 31 forecasted bookings indicated that number was expected to grow to approximately 150,000. Copyright Photo: James Helbock/AirlinersGallery.com. Air Canada’s leisure unit, Air Canada rouge Boeing 767-333 ER C-FMWQ (msn 25584) arrives in Las Vegas. This entry was posted in Air Canada, Air Canada rouge and tagged 25584, 767, 767-300, 767-333, Air Canada, Air Canada rouge, Boeing, Boeing 767, Boeing 767-300, C-FMWQ, LAS, Las Vegas on August 1, 2015 by Bruce Drum.